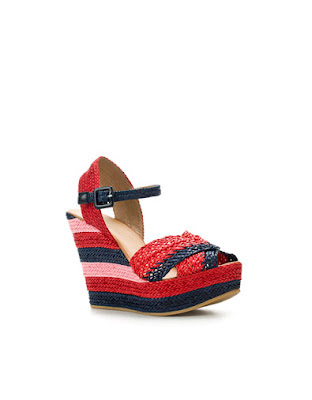 Wedges are prefect for the summer. Not only do they give you the height of heels, they are much more comfortable to walk around in. Here are the one's I'm loving right now. Super cute, right?? I'm really loving the Zara ones. May have to run over to the store to try them on. My feet are weird, so I can't order shoes online unless I have already tried them on. What do you think of my Summer Wedge picks?? Let me know, I love hearing from you! 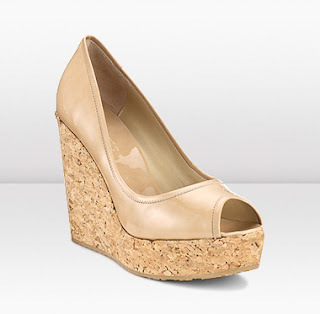 Wedges are also great when you know you'll be walking across an unpaved surface, like at a garden wedding or something. I love Jimmy Choo's cork wedges. So true and with all the cobblestone around here, wedges are the way to go. 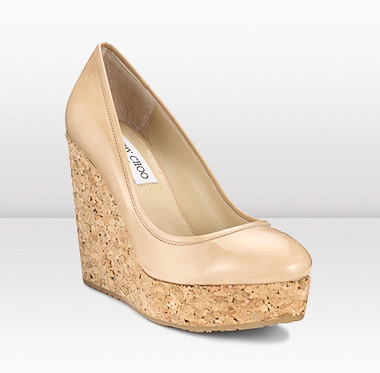 Jimmy Choo makes great wedges!